Dubai, United Arab Emirates: ME NewsWire: Lamps4U FZCO a UAE based manufacturer and distributor of energy efficient and environment friendly lighting products and fittings partners with Dulsco for their Lampswithbenefit initiative. 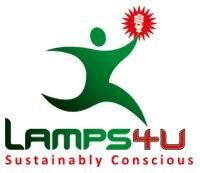 ‘Lampswithbenfits’ is a programme that offers an environmentally Safe solution for disposal of spent lamps. This programme is designed to collect spent lamps to avoid the emission of harmful ‘mercury Vapor’. Every component is recycled for the benefit of the environment. Dulsco is a regional leader in human resources and waste management services. All fluorescent and most high intensity discharge lamps contain a small amount of mercury, a naturally occurring element that is critical for the energy-saving attributes of lamps. However, mercury is toxic and can cause an adverse effect on public health and environment. To prevent this chemical from causing harm to our environment this programme is designed to divert hazardous waste away from the landfill. A specially designed – environment friendly Vaporlok Bags will be made available through various locations, in which consumers should place spent/burnt-out lamps and drop them at our drop off bins at designated locations across UAE. Spent bulbs from these containers will be picked by our customized vehicles created especially for this programme. These lamps will be then disposed by proper methods which will not harm the environment. Consumers can log on to lampswithbenefits.ae to locate the nearest drop off location for disposing of their spent lamps. Lamps4U FZCO is a UAE based manufacturer and distributer of lighting products, fixtures and lamps. It provides a total solution for the interior, exterior, decorative and amenity lighting for commercial and residential buildings. It takes pride in supplying quality lamps that are energy efficient and environment friendly. Lamps4u markets two brands Eurolux and Genlux that carry Emirates Quality Mark (EQM) and South African Bureau of Standards (SABS) certifications. Headquartered in Dubai Silicon Oasis, the company’s distribution center supplies to UAE, GCC and the wider MENA region. The company nurtures the principle “Live within your limits” from which was born the programme Lampswithbenefits: a safe lamp disposal programme available throughout UAE. The company is a Dubai Municipality approved recycling facility. Dulsco is a pioneering UAE-based limited liability company with over 81 years of experience in the regional business environment. With a workforce of over 12,000 employees, the company has grown with the region and has established itself as a premier service provider. It prides itself in offering human resource solutions and waste management solutions to its customers in the UAE and in Qatar. The company’s commitment to its diverse clientele is reflected in its management system certifications such as ISO 9001:2008 for Quality, ISO 14001:2004 for Environment, and OHSAS 18001:2007 for Health and Safety. Dulsco is a key player in the UAE’s economic development and an important contributor to the country’s social development. To keep pace with industry demands and to offer better services across the region, Dulsco has established offices in Dubai, Abu Dhabi, Al Ain, Fujairah, Sharjah, Ras Al Khaimah, besides the joint venture company in Doha, Qatar. Dulsco was recently awarded the Superbrand status making it one of the few B2B Emirati brands to achieve this honour for the second year in a row. Dulsco is also ranked as one the “Top 20 best employers” in the UAE by the Great Places to Work institute.